Whereas group classes are delivered to suit a general situation, individual practices are geared towards your needs. With individual classes we would consider how much time you have to practice, when during the day is a good time to practice, what interests you and what you want to get from practising yoga. A suitable practice will then be designed and taught to you. It is also written down for you to take away and practice at home between sessions. ; your feedback will be the basis of how I am able to refine and develop the direction of your practice. These sessions are friendly and conducted in a spirit of collaboration. As we go through the practice you will learn how to change the way you are thinking and moving. Everyone can benefit from learning to use less effort in their movements. A common problem that we all experience is a desire to 'do it right,' to 'get it right'. This desire can be so strong that it impedes our ability to learn effectively and we generally end up using too much unnecessary effort to 'get it right'. One of the aims of these sessions will be to help you shift the emphasis from 'doing it right' to simply following a process that will eventually lead you to a more settled state of mind and a stronger more flexible body. 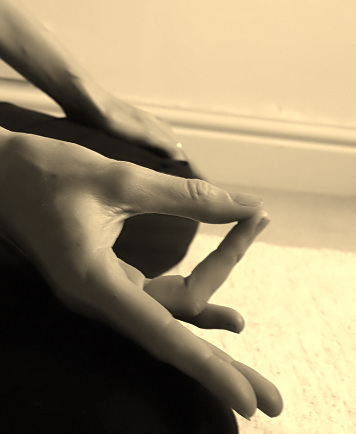 are committed to developing a personal yoga practice. find that committing to a regular class is very difficult. Cost : £42 for 1 hour, £58 for 90 minutes , £80 for 2 hours.